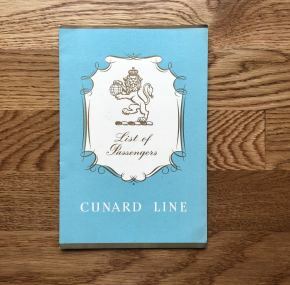 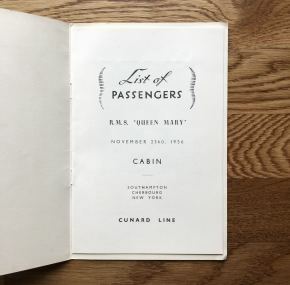 Cabin-class passenger list for her November 23, 1956, voyage from Southampton to New York via Cherbourg. Tipped in color image of the QM in the front. 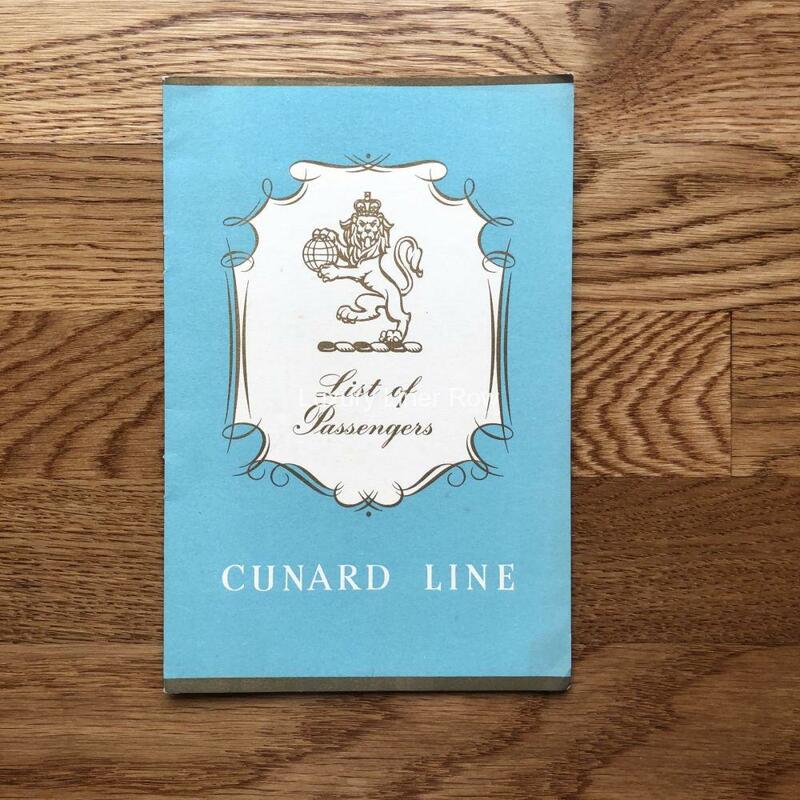 Despite being so late in the year, she still carried nearly 1,200 passengers on this voyage.